While writing, I like to have a playlist of songs I listen to while crafting the story. These songs either put me in the mood to write a scene, or they represent the story well enough they keep everything fresh on my mind when I'm not writing. 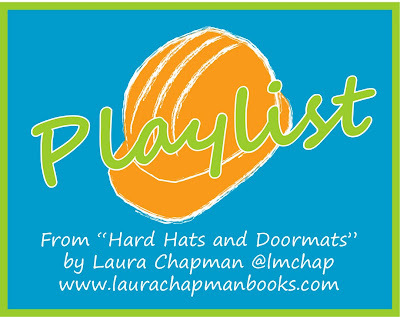 In the three years since I started Hard Hats and Doormats during National Novel Writing Month 2010, its playlist has undergone transformations. I'd add songs I knew I wanted included on Lexi's other playlists, or songs I thought might be contenders. But in the end, it's shaken back down to twenty songs - most have been on it from the start. You can check out the full playlist on Spotify.